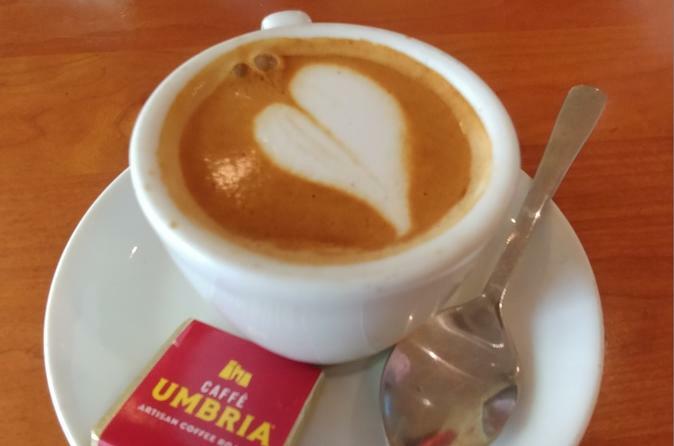 Do you love coffee, espresso, and more? We have our Road Dog's Seattle Coffee Tours leaving daily to visit some of the best cafe's and coffee roasters in the beautiful Pacific Northwest. Road Dog Tours is always looking to bring our guests the best experiences and new ways to explore Seattle. You will taste many different types of coffee drinks, learn about the different types of coffee beans and the roasting process. Rain or Shine, the locals in Seattle drink coffee. Our Seattle Coffee Tours are 2 hours in length as we visit a combination of 3 very distinct and charming Seattle cafes and roasters. The tours include plenty of samples of coffee as well as a VIP experience and education on the roasting and various bean process. Tours leave daily at 9am and 11am from Downtown Seattle. Each guest will hop in our Road Dog van and drive to various areas of Seattle to visit the best coffee locations. You will also get a Road Dog shirt and coffee mug as part of the experience.